Just drag and drop, no scripting required. Get started by simply clicking on any strategy and then save it to start experimenting. 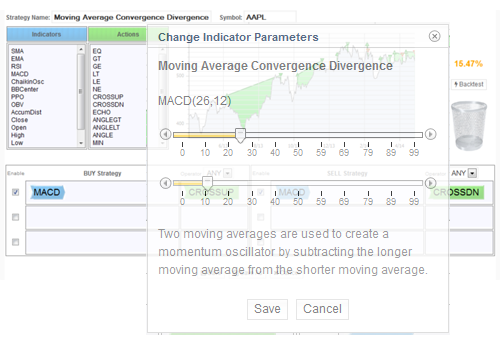 Change the symbol, edit parameters or drag and drop new indicators to create virtually infinite number of strategies. Backtest them immediately with a single click of a button. Register by simply signing in with your Google account. It's free.